City leaders said they are looking at a possible new tool to encourage new economic activity in downtown Helena – creating an urban renewal district. 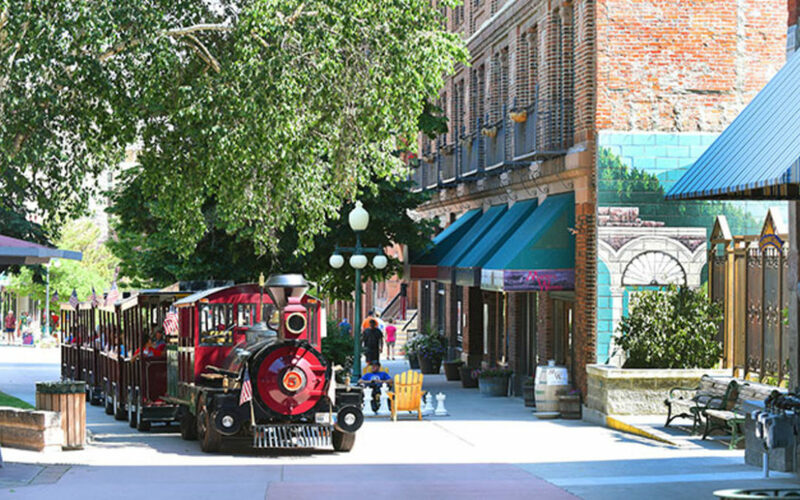 “We see a lot of potential downtown, and we’re hoping this will be one way to spur some of those projects from people thinking about them to moving forward with them,” said Sharon Haugen, Helena’s community development director. Urban renewal districts allow cities to reinvest some of the property tax revenues collected in an area into infrastructure and other improvement projects there. Helena leaders said their recently completed Downtown Neighborhood Plan recommended creating an urban renewal district. The city and Montana Business Assistance Connection, a local economic development organization, received a grant to help implement it. The proposed urban renewal district would stretch from the former Armory building on Lyndale Avenue to the intersection of Cruse and Park Avenues. It would use tax increment funding, or TIF – meaning if any redevelopment in the district increased property values, the additional tax revenue created would be reinvested in other downtown improvements. Leaders said those changes could range from improving sidewalks and other public infrastructure to cleaning up and preparing sites for new development. Haugen said creating the district wouldn’t affect most property owners’ taxes. The first step toward creating an urban renewal district would be for the Helena City Commission to approve a “statement of blight,” outlining the conditions that make the downtown area eligible for renewal. After that, the commission would need to approve an urban renewal plan. “It’s supposed to identify specific types of projects where reinvestment could occur, identify barriers to redevelopment and how the city could address any of those barriers, and also look at potential redevelopment areas and what we can do to encourage development in those areas,” Haugen said. The city has hired a contractor to assess the downtown area’s needs and draw up a potential renewal plan. Haugen said the district could be implemented by the end of the year. City leaders are also asking the community to weigh in on the proposed district and on what options they see for downtown development. They will hold a public meeting in the Civic Center ballroom, starting at 6:30 p.m. Tuesday. Haugen said there will be more opportunities for the public to comment throughout the process, but that this meeting is an important first step. “This is a good place to at least plant the seeds of what potential redevelopment they have in the back of their minds,” she said. There were previously urban renewal districts in the downtown area, until the last one expired in 2006. Haugen said those districts helped support projects like the construction of the Great Northern Town Center. Helena also has a current TIF district, the Railroad Urban Renewal District, which includes much of the area between Last Chance Gulch and Interstate 15, on either side of the railroad tracks. You can find more information about Helena’s urban renewal districts on the city website.